Many buyers agreed that the New Balance Rubix is a good-looking running shoe. 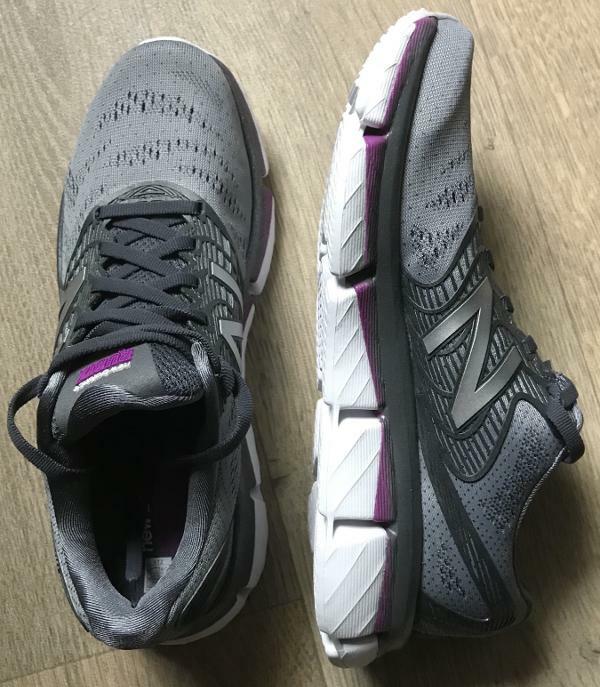 One user mentioned that the shoe offers enough amount of flexibility while running. The shoe is true to size, said a few users. The Rubix delivers a smoother transition compared to other motion-control shoes, a reviewer shared. This road running shoe is durable, said a few buyers. Several purchasers agreed that the New Balance Rubix has a narrow and tight fit. A few runners were annoyed by the design of the tongue. A couple of wearers mentioned that the shoe feels clunky underfoot. 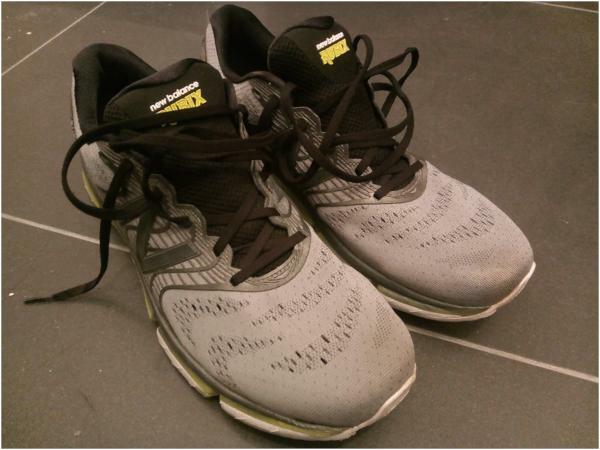 Some disappointed users mentioned that the shoe is not comfortable; they experienced pain while running and walking. The Rubix is a new running shoe model from New Balance. It seems that it failed to capture the heart of many users as it gained mixed reviews from its wearers. Some runners were impressed by the shoe’s good-looking design, but many others have found significant flaws in the design. Overall, the New Balance Rubix still needs more improvement. As a mild overpronator, I had to stick with stability shoes for my training runs, especially for long runs. And if you look at stability shoe market, your first impression would be: shoes not so appealing, heavy and very stiff. By introducing the Rubix model, New Balance tries to change that perception for good. First of all, the shoe receives very positive feedback from my network by how they look like. I can say that it is not a bulky stability shoe and with the color scheme New Balance provides, it has a fashionable look. First improvement New Balance applied is in the midsole part of the shoe. As usual, New Balance uses different foams in midsole (softer and firmer) to guide the foot to prevent rolling inward. New Balance’s new technology called “Guidance Ramp” is created to analyze pressure points on the bottom of the foot during exercise. With the help of this technology, Rubix becomes much flexible compared to other stability shoes, without sacrificing stability. If you would like to run some Fartlek (speed plays) with Rubix, you can feel the flexibility of the shoe, and it also adopts sudden speed increase pretty well. For the outsole part, New Balance uses wear-resistant rubber to provide longer product life and higher durability. You can feel that the outsole is made out of much firmer foam than midsole. Even if I didn’t find the opportunity to test its durability on rough surfaces, however, after completing around 50 miles I was not able to see any wear and tear on the outsole. New Balance focuses on technology development towards the functionality of the shoe. I was not expecting something fancy regarding the upper part. The first time I have the shoe, it verifies my expectations that the upper part is full-length mesh. After a couple of miles, I feel very sure about its breathability. As expected from a stability shoe, TPU overlays have been used to provide more structure and control regarding the movement of the feet. Upper part doesn’t provide rain protection; however since it's a mesh fabric, it dries out quickly. On the treadmill, I always adjust the incline at 1%. I used Rubix twice, once for interval run and one for more controlled negative pace run. During high-speed intervals, I was feeling some loss of traction, and I thought that it might be due to some water I had to walk thru before I reach the gym. I really didn’t understand the reason for this. On my negative pace run, everything was under control, and I was happy with the shoe’s traction on the treadmill. I had a question mark on my mind, was the slipping during high-speed intervals a result of wet surface or the shoe itself? The best option I have is to wait for a rainy day and go out for a run. After a week, I found the perfect weather to test the shoe’s traction on a wet surface under the rain. I should mention that the rain was not heavy so I can apply different paces (from 5.10 per km to 4.30 per km). I'm surprised by the result of not being able to keep my balance well, and the shoe lost an important level of traction. It is very important for me especially in crossing a metal bridge. I wasn't able to experience this kind of problem with my other shoes. I am surprised with the outcome because this was not something I expect from New Balance who has enough product range and experience. I am sure that the company will pay more attention to solve this problem with its first upgrade. My last comment would be about the sizing. My Rubix is exactly at the same size as my Mizuno shoes, however, I could be happier if it was half size larger. Overall, New Balance Rubix is one of the first steps the brand is taking towards a new generation of its shoes. It includes a lot of new technologies which allows the shoe to be flexible and lightweight while providing necessary support. I find it very attractive and it receives similar feedback from my network. My only concern is its traction on wet surfaces. This is an improvement point for New Balance. Aside from that, this shoe is best for long distance training and for those who are experiencing overpronation. I firmly believe that the introduction of the Rubix would trigger other brands to think more creatively to match the competition. The Rubix is the new stability shoe from New Balance. It has an 8 mm drop and quite a bit of cushioning. The shoe reminded me a bit of the 90’s somehow. Maybe because of the outsole that is a bit wider than the upper. But at the same time, it’s also a modern shoe with nicely printed overlays and a knitted upper. It weighs 255 grams, so it is a pretty light shoe. The shoes upper is made of a jacquard mesh, a double-layered knitted upper, which is seamless. The fabric is breathable but doesn’t dry quickly. When I went for a run in wet conditions, the front of my shoes got wet and this wet patch slowly spread out during my run, while the mesh was slowly absorbing the water. Eventually, my toes started to get wet as well and it wasn’t even raining at that time, it was just from the water on the road and the wet leaves. The upper seems to take up water like a sponge. Within a few miles the entire front of my shoes was soaked and by the end of the run, so were my socks. The tongue and collar of the shoe are pretty thickly padded, something that I personally like. It just feels plush. The outside of the heel of the shoe has a nice reflective print on it. Overall, I did find that the heel cup of the shoe provided enough stability. The printed thermoplastic polyurethane overlay makes sure your midfoot is snugly locked in place. I like this feature, it looks nice, and it’s firm and flexible at the same time. It locked down my foot nicely and I didn’t experience any hotspots with it. It also extends onto the heel of the shoe in order to firmly lock down your foot. In the Rubix the midsole has a different colour compared to the outsole. The midsole is the most innovative part of this shoe. The midsole is made out of softer foam than the outsole. It is divided into different segments and the segments vary in how thick they are, something New Balance calls guidance ramps. In this way, the shoe provides more support in areas where overpronators need it most and through this design, the shoe guides your foot in the right direction. The midsole is thicker underneath the lateral side of the shoe, while it’s actually thinner on the medial side. Overall the midsole foam is thinner underneath the forefoot of the shoe than underneath the heel. The outsole of the Rubix consists of a denser kind of foam than the midsole. The outsole is also divided into segments and these segments also vary in thickness, just like in the midsole. In this way, the midsole and outsole work together to create a dual density foam sole. The outsole foam is thicker on the medial side while being thinner on the lateral side. In this way the foot is guided to a more natural gait, trying to prevent the overpronation. Although this dual density foam construction does help with the gait of the runner, it does also affect the cushioning of the shoe. I do find the cushioning in the forefoot of the shoe well enough, but as a bit of a heel striker, I do think the shoe lacks in heel cushioning. I experienced quite a bit of ground feel in the heel and less so with the rest of the shoe. The New Balance Rubix is a stability shoe, but not quite in the way that you would expect. I’ve run in stability shoes before and they are often made with a post, made out of hard materials, underneath the medial side of the midfoot to prevent you from rolling your foot inwards. However, that isn’t very comfortable while running, since it obstructs your natural gait too much. However, the Rubix doesn’t feel that way. It does have medial stability, but it doesn’t feel like someone squeezed a tennis ball underneath my foot. It does use the guidance ramps, but since they fused it together with the outsole, it is not as noticeable. It gives you a smoother transition than a more traditional stability shoe, would have. I don’t really notice it when running, I do however notice it while just standing it this shoe. It is, therefore, one of those running shoes that are comfortable to run in, but not so comfortable to wear as everyday sneakers. Because the foot is guided by these guidance ramps, these shoes can probably also be worn by someone with a more natural gait, since their foot would be guided into a gait they already have. The outsole doesn’t provide much traction on the road. In wet conditions it even gets a little bit slippery. Therefore, this shoe is best worn in dry conditions. Which is fine if you are one of those runners that doesn’t run in the rain at all, but for most of us that can be a bit of an issue. I realise it isn’t a waterproof shoe, but that doesn’t mean the upper has to work like a sponge. It has resulted in me picking another pair of running shoes over the New Balance Rubix when I went out for a run while it was raining. I did find that the Rubix does have enough room in the toe box and I wore my regular size. The New Balance Rubix isn’t a traditional stability shoe. I’ve worn stability shoes before, but I often didn’t like them because the stability feature was mainly working against me instead of working with my foot. It almost felt like a struggle running in those shoes. I didn’t have that experience with the Rubix. But the New Balance Rubix isn’t perfect either. I do find that the sole could be a little bit more plush with regards to the heel cushioning of the shoe and the upper does need to change because at present it absorbs too much water. However, this is the first version of this shoe, so I am expecting it to get better in the future. I’m looking forward to seeing the future versions of this shoe. The New Balance Rubix is a high end running shoes made with motion control and stability in mind. 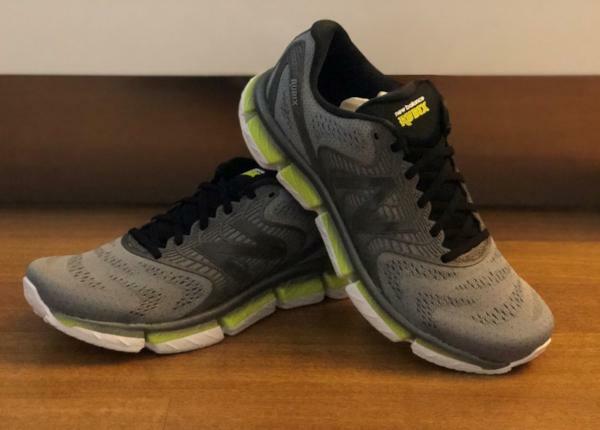 NB tried to come with a new technology that can create a comfortable motion control running shoes, but in the same time deliver a comfortable cushioning on the entire surface. Were they able to do it? When I heard that NB would come with a new model, the Rubix, and all the technology and studies they put into it, I expected an out-of-this-world design with bright colors and stripes all over them. When I saw them, I realized I was wrong, and I was happy that I was wrong. The first time when I’ve put my hands on them, I got 2 thoughts in my mind. First, these shoes are lighter than I expected. Second, they look nice, nothing unusual in the exterior design. Usually, when I see new technologies in design, I am afraid that some of the things are not tested enough and the shoes may not be so reliable over time. It’s not the problem here, NB came with a simple and nice design that I like. Rubix has a Double Jacquard Mesh upper with a lot of pores or areas made to improve breathing and cool the inside. On the sides and in the back, over the mesh is applied a TPU mold that keeps the mesh together and helps you tighten them. The N on the side and the heel area are reflective and will help you with the visibility during the night. Now comes the most exciting part, the midsole. Here are the magic and hard work that NB put into creating this pair of shoes. The midsole is made of two foams with different densities and thicknesses and is divided into multiple sections alongside to increase the flexibility. On the exterior, I found a rubber outsole. Usually, on the top running shoes, manufacturers choose to put a very thin rubber on small surfaces to reduce the weight of the shoes, but the rest of the foam uncovered by the rubber will suffer sooner or later. Happily, New Balance decided to apply this rubber on most of the areas, and the foam will not touch the running surface. In my opinion, the rubber is thick, to have good resistance over time. As I said before, I found the Rubix lighter than I expected. Before I tried them, I read that NB did not create them to be light and they are pretty heavy. On the paper, maybe they are a little heavy, but when I use them, I never felt that. Another thing that surprised me is the very elastic laces. All my laces from other running shoes, even NB are very stiff, they don’t increase their length at all. When I saw that, I was afraid that during my run, they will not keep my foot in the same position and it will slide inside the shoes. This never happened, I always felt that my foot is well fixed inside the shoes. Actually, now I think that the rubbery and flexible laces are an improvement for the shoes, not a disadvantage. The insole is very comfortable and I think that it increases the cushioning. The mesh is very flexible and good breathability. I used them during the winter and I always felt that the cold air from outside is getting easily inside. Of course, during the winter you want your toes warm, but these shoes are made for summer when the good breathability will be an advantage. They have good toebox space, wide enough for me. I don’t have a wide foot, it’s somewhere in the middle and I am happy with its dimensions, I never felt something unusual or too tight. I had the opportunity to use the Rubix right after a metatarsal-5 bone fracture that kept me a while out of running. I started to use them during recovery, indoors and after I used them for running. After I removed my orthosis, it was really hard to walk, my foot was weak and I decided to use the Rubix. The motion control and stability helped me more than expected to walk normally. I also felt that the pressure distribution is very good on the sole surface, and this will also help you while running, to decrease the high-pressure points. The sole is the biggest improvement that NB has made. From my experience with stability shoes, I always felt that to reduce overpronation and rolling inside while running. The shoe sole is way harder on the inside area near the heel. And because that area had a different density, the sole was compressed more on the exterior. The disadvantage here was that I always felt like I have something hard inserted in the sole under my heel, even if the cushioning was very good. The good news is that Rubix is not like other stability shoes. NB created the sole from 2 material with different densities. More than that, they created some guidance ramps with different thicknesses. As you can see in the pictures, the colored foam is a different material, not just painted to look good. For the guidance ramps, NB said that they used some measured data to ensure a good compression and pressure distribution. And I think that they really did a great job in creating a stability shoe that works, but it does not feel like one. Cushioning is good I would say. Not great in the heel area, but maybe is just my impression. I still miss the cushioning from my Hoka One One Hupana 2, but they lacked the stability, unfortunately. Anyway, I never felt that they don’t have enough cushion at all. I think they get the job done, but don’t expect that soft rubber-like in Hoka shoes. The stack height is good enough to provide you comfort also on long runs. The outsole has some rubber to improve durability and traction. I used them also on wet and some melted snow. Of course, it depends on the surface that you are running, but I would recommend not to use them if it’s even some light snow outside, they get slippery. On wet surfaces, I never felt like I lose traction, but at the same time, I never got that confidence to increase the pace. Since they are not made for rainy weather, I would say that they are ok, not good, but not bad at all. Since the sole rubber does not cover 100% the midsole, I would never use them somewhere else than the road. Also, small pebbles get stuck in the cut areas made to improve flexibility. I had the opportunity to test them a little on the treadmill, and I never felt something unusual. The grip is good; they are not sticky or slippery. This is a short term review so is hard to speak about the entire lifetime of the shoes. But until now, I am confident that they would last. In the past, I had some problems with the rubber outsole of the NB 720V4 and I was afraid that I may have the same, even if the chances were really small. But the outsole looks as expected, nothing unusual. The mesh looks like a quality one. At least, until now looks great and still has the same shape as new. Since I used them during the winter, the mesh was not affected by so much sweat as in the summer but is flexible enough so it will not break easily. The TPU layers look hard and thick enough to provide a secure fit for a lot of miles. The New Balance Rubix is a high-end pair of running shoes and my expectation was high. Since is a motion control/stability type of shoe, I would say their main goal was to assure a good performance on this topic. And they definitely managed to do this. For those who want a stability shoe, I would recommend the Rubix without hesitation. The control is made in a unique way, that works, and the feeling is different. Also, the front of the shoe is wide and offers some kind of front stability. I had the same feeling on NB 720V4 and I missed that feeling on my other running shoes. This kind of stability gives me a secure feeling on fast paces and while cornering. Since I just talked about fast paces, I would say that they are ok for fast training because they protect your foot, but not for fast races where weight is really important. You need to choose between weight and stability and control. They are comfortable, but if you are used with really light shoes, you may feel the difference. Since the main goal was the sole, the other components of the Rubix are not something unheard. I feel that NB went for reliability and known quality and I like that. I would always choose something that is tested, and quality proved, not something really new and expensive that may be a disappointment. Overall, for the value of money, I think that NB delivers good quality. They did a good job with stability. If you want shiny mesh and the last technology for the mesh and upper, maybe it’s not the right shoe. But if your target is performance while wearing them, I would go and try them. The size is as expected. I had the same size on the New Balance 720V4 and I went for the same size as the Rubix and it’s as expected. I would compare the Rubix with my Nike Zoom Structure 21 since both are stability shoes. And both have different technologies to ensure the stability and, of course, the experience is different. In Structure 21 the sole is not so advanced, and you just feel a harder foam on the median area. But on the other side, the Rubix is one class over. The stability is made in a more detailed way and it’s a clear difference between them. In my opinion, the New Balance Rubix is a great pair of shoes, really good quality and NB delivered what they promised. Since they were made for overpronators with stability in mind, my opinion is based on how good they can provide what they promised. And they are great for that, all the engineering and testing delivered a great stability pair of shoes. If you want something from this category and they are in your budget, you should try them. Keep in mind that there is not (yet) on the market a pair made for everything, so you need to find something based on your need. If you like neutral shoes with a lot of cushioning, I will try something else like Hoka or Altra, because the Rubix is not made for that. If stability is what you need, you will not be disappointed. The Rubix is a New Balance running shoe that’s designed for those who have severe overpronated foot motion. It has a segmented cushioning platform that encourages responsive liftoffs, attenuated landings, and generally guided steps. A guidance ramp made of a dense material is fused seamlessly with the multi-sectioned sole, ensuring stability throughout the running session. The upper unit of this road companion features jacquard mesh, which has the texture of woven cloth. This fabric is meant to provide a snug and secure wrap that is also not irritating to the skin. Thermoplastic polyurethane overlays also help in holding the foot in place. The New Balance Rubix has a standard running shoe length; it has full-size and half-size options. Runners can get a pair using their usual sizing preferences. When it comes to width, the available variants are D – Medium and 2E – Wide for men, and B – Medium and D – Wide for women. The semi-curved shape of this product’s last mimics the natural outline of the human foot. The areas of the outsole that are susceptible to wear-and-tear are covered with rubber. The protective construction prevents the surfaces from damaging the external pad, particularly the contact points. The rubber add-ons are also meant to provide traction. The segmented design of the midsole yields deep grooves that encourage the foot to bend as naturally as possible. The Acteva Ultralight is a full-length foam that is divided into six sections. This design heightens flexibility and the natural progression of the gait. The material itself is touted to be 32% less weighty than most foam compounds on the market. Guidance Ramps act as the topside of the cushioning platform. These dense portions of the midsole are intricately placed as a means of following the biomechanical data of an overpronated foot, stabilizing the stance and preventing discomfort or injury. The upper unit of the New Balance Rubix features a Double Jacquard Mesh, which has the structure of traditionally woven cloth. Its job is to wrap the foot and keep it secure. It has breathing pores that accommodate air into the foot-chamber. The TPU (Thermoplastic polyurethane) Fine Mold is a set of overlays that are printed onto the façade. The curved patterns of these prints are meant to anatomically welcome the shape of the foot, cradling it and keeping it from rolling inwards in an irregular manner.